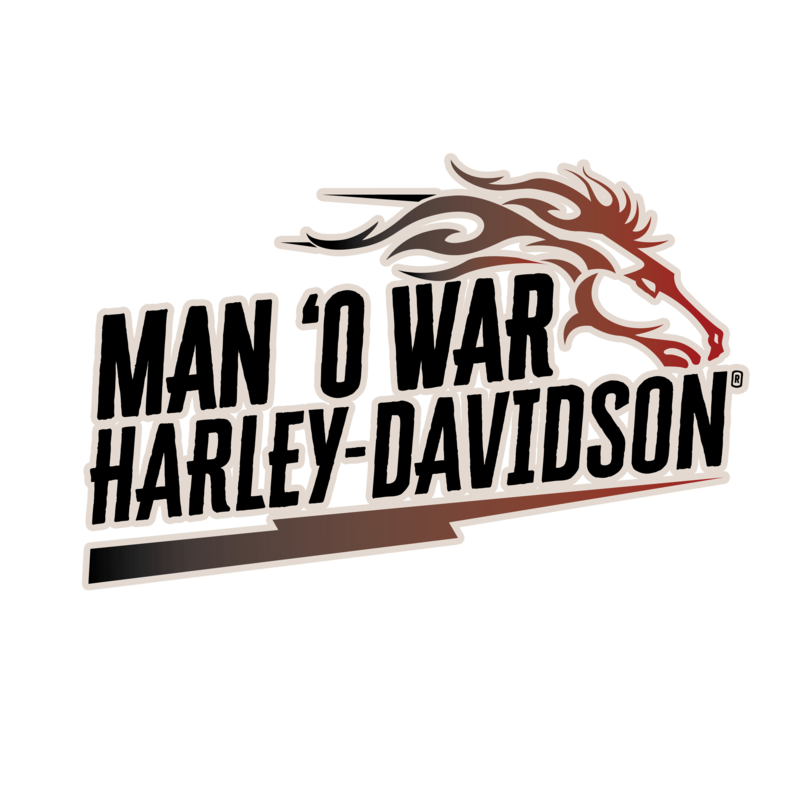 Get into the game with Man O' War Harley-Davidson today! Payments under $200 per month on new 2018 and 2019 Sporsters! The Harley-Davidson® Rider-to-Rider Financing program offers financing to qualified individuals who are buying a used motorcycle from a private party. CONTACT US for more information. Rates start at 5.49% APR11 for Used Harley‑Davidson®motorcycles with $0 down11 options available. If you have any questions please call me! Man O'War Harley-Davidson® Financing - Get Approved in Minutes! Don’t you deserve to have the full Harley® experience? If you are deciding to finance your new ride, you’re not alone. Let Man O'War Harley-Davidson® and Harley-Davidson® Credit Corporation, finance the motorcycle of your dreams. We provide convenient, hassle-free financing* to get you on the road faster. We offer loans for new and pre-owned motorcycles, including fixed rate loans with low down payments and terms up to 84 months on certain models. We understand the stress of financing your new bike, that’s why we know how important is it to do our work quickly and efficiently and get you riding ASAP! Harley-Davidson® Extended Service Plan: Harley-Davidson® motorcycles are the best in the world. While mechanical failures are rare in today's Harley-Davidson® models, there is always a chance your motorcycle might break down or need a major repair. The Harley-Davidson® Extended Service Plan coves over 1,100 parts on your new or pre-owned motorcycle in the event of mechanical breakdown. Enjoy low, locked in repair costs, expense reimbursement, optional tire and wheel coverage, and nationwide repair location assistance. You can also sell your motorcycle and transfer your contract free to the next owner. What an easy way to increase your Harley®'s resale value! Harley-Davidson® Debt Protection Plan: Anybody could find themselves out of work at anytime. If you were to lose your job or suddenly couldn’t work due to an accident or illness – you and your family could face a financially difficult time. The Harley-Davidson® Debt Protection Plan has been created to protect you in several valuable ways. After 30 days of involuntary unemployment or total disability, you may be eligible to have your monthly payments cancelled, up to $1000 per month for up to six months. Guaranteed Asset Protection (GAP): No one likes to think about having their motorcycle stolen or totaled in an accident, but the fact is that it can happen. The Harley-Davidson® Guaranteed Asset Protection plan can waive the difference between what is owed on your loan and what you insurance company will pay. It could even cover the cost of your insurance company’s deductible, up to $1000.00. Harley-Davidson® Insurance: Custom is king at Harley-Davidson®, a place where no two motorcycles are alike. So when it comes to protecting your one-of-a-kind motorcycle, think of the investment you've made. Will everything on your Harley® be covered by your current provider? Get your insurance from the same place you got your motorcycle. No other insurance agency takes better care of motorcyclists than Harley-Davidson® Insurance Services. Call toll-free (800) 832-4449 ext. 4961 any day of the week for a FREE rate quote. Want to sell your motorcycle but your buyer needs financing? Harley-Davidson® Financial Services’ Seller’s Assist Program and Man O'War Harley-Davidson® can arrange convenient, hassle-free financing* for individuals who are buying a motorcycle from another individual or private party. This program also entitles the purchaser the option to purchase great benefits such as Harley-Davidson® Extended Service Plan, Harley-Davidson® Debt Protection Plan, Harley-Davidson® Guaranteed Asset Protection, Harley-Davidson® Insurance, Harley-Davidson® Genuine Motor Parts, Accessories, and MotorClothes® and Apparel. **Financing Offer available only on new Harley-Davidson® Touring motorcycle models financed through Eaglemark Savings Bank and is subject to credit approval. Not all applicants will qualify as the Annual Percentage Rate (APR) will vary based on the applicant’s past credit performance and the term of the loan. Financing offer is available only for up to a 60 month term. For example, a 2019 Road Glide® Special motorcycle in Billiard Blue with an MSRP of $27,989, no down payment and amount financed of $27,989, 60 month repayment term. The customer is responsible for applicable taxes, title, licensing fees and any other fees or charges at the time of sale. APR is calculated according to the simple interest method. Not valid in conjunction with other offers. Other terms, conditions, and limitations may apply. Dealer participation may vary. Financing offer is subject to change or cancellation at anytime. See a Man O' War Harley-Davidson® Dealer for details. *Financing offer available through Eaglemark Savings Bank on new, untitled 2019 and 2018 Sportster models. Financing is subject to credit approval and not all applicants will qualify. APR financing subject to credit history. For example, a 2019 Sportster 883 with an MSRP of $8,999 purchased with 10% down and the payment amount financed of $8,099.00 with an 84 month re-payment term and 9.99% APR, will result in monthly payments of $154.37 for the term of the loan. Tax, title, & licensing fees and any other related fees will apply. Other terms, conditions, and limitations may apply, please contact Man O' War Harley-Davidson for more details.